I seem to have come down with the sniffles with all this blogging malarkey so I thought today I would whip up a nice comforting soup. Slice the red onion (how thick depends on how chunky you like your soup) and fry in a pan with the crushed garlic. Rinse the cannelini beans and add half of the can to the tomatoes in a blender. Blend until smooth. 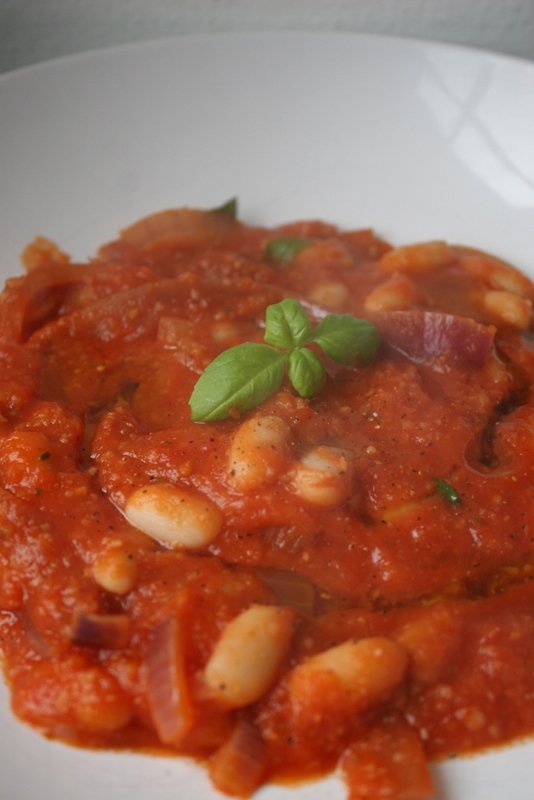 Add the bean/tomato mix to the pan, along with tomato puree, veg stock cube, 150ml water and remaining cannelini beans. Simmer for 10 minutes. Season to taste with salt, pepper and fresh basil.Serve in a bowl with a swirl of oil.